To give a positive and engaging image of cycling through events and animations. To develop projects aiming to significantly increase bike usage. To sensitize, advise and teach bike riding with individuals, schools or even professionals. To facilitate bike riding by offering services adapted to cyclists, on a dedicated site. Bike rental for a day in Toulouse, for daily use or a touristic trip. A travel agency Véloccitane, for turnkey cycling holidays in between Bordeaux and Sète. 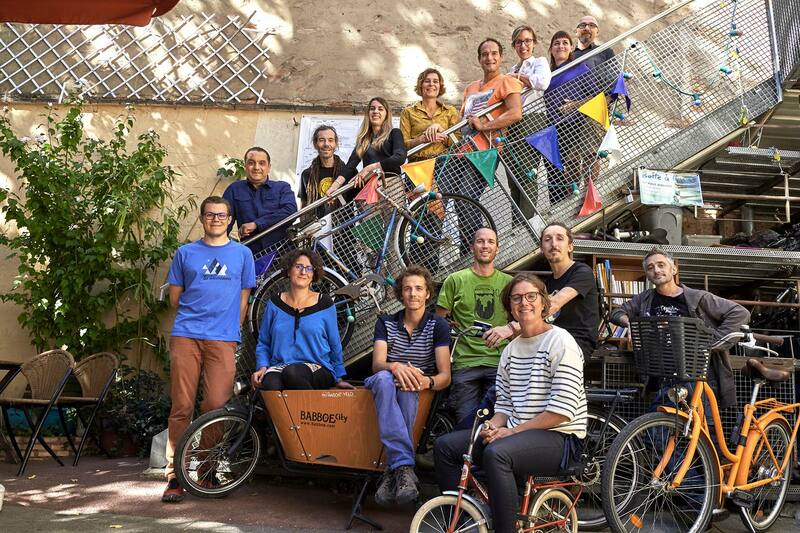 Guided tours to discover on a bike the unavoidable gems of Toulouse. A participatory workshop to repair your bike or reparations on estimate by a professional mechanic. A vélo-école to learn or relearn cycling. Services to professionals to sensitize more people than ever to this gentle method of transport. A seasonal cuisine with Le Vélo Sentimental, to take, in the shadow of the lime-tree a well deserved gourmet pause. 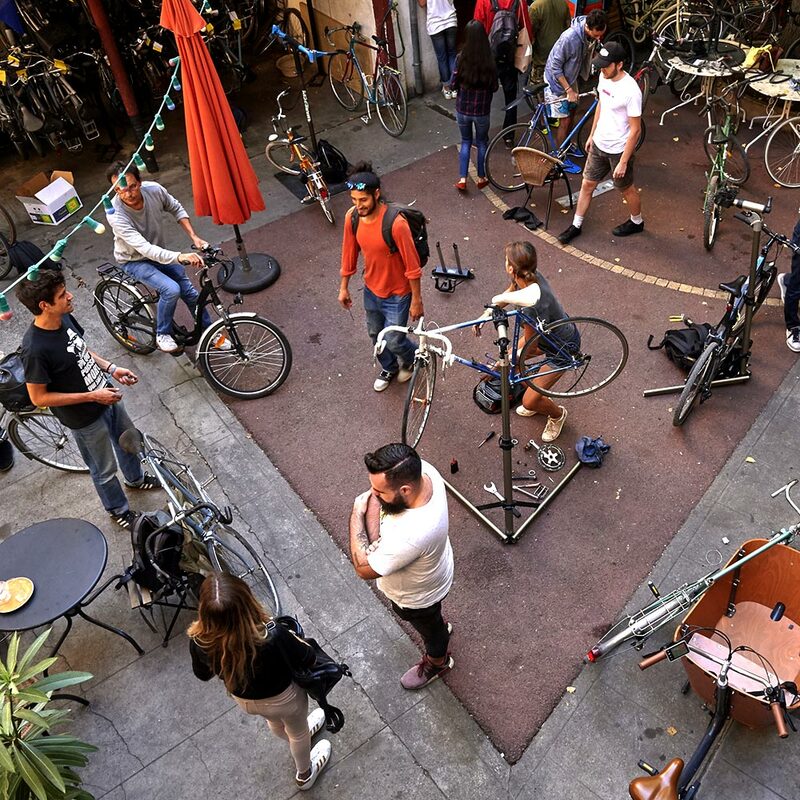 But La Maison du Vélo is also a convivial place where events and expositions are regularly organized around cycling.